Those among us who work in animal or environmental advocacy work often feel the effects of that “want,” although not the “want” for physical resources that Berry described. Instead, we suffer from “want” of community. This creation care truth that we see as core to framing our daily activities is often quickly dismissed by food producers and consumers. That’s one big reason why it is such an enormous blessing when the occasion arises to join together with like-minded others for conferences and events that highlight our mutual mission. Sarah Withrow King with co-presenter, Rev. Sarah Macias (left) and Green Seminary Initiative Director, rev. abby mohaupt (right). 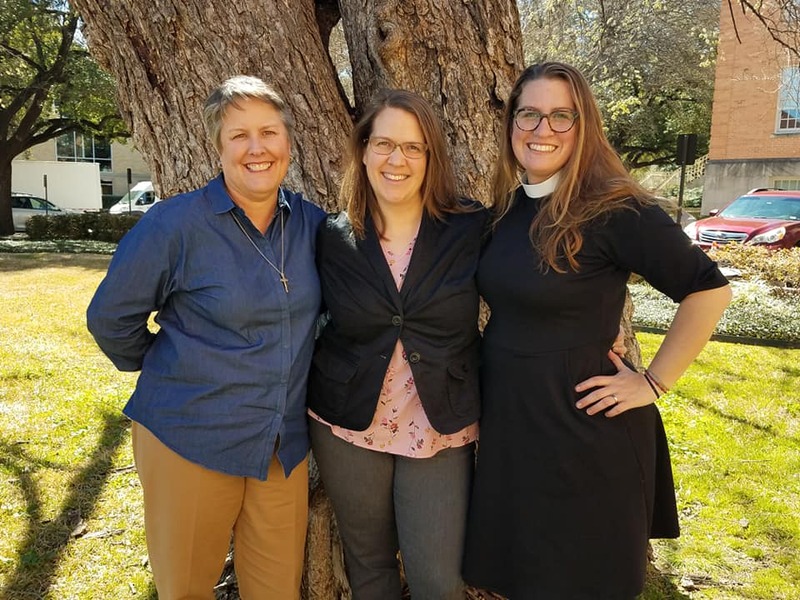 In March, CreatureKind co-director Sarah Withrow King was invited to participate in the Southwest Symposium on Ecologically Informed Theological Education at Brite Divinity School, where Methodist Theological Seminary in Ohio (MTSO), the Green Seminary Initiative (GSI), and the Interfaith Center for Sustainable Development hosted two days of insightful conversations and collaborations. Attendees included students, faculty, administration, alums, and staff from around the Southwest. A recap of topics covered is available in a blog by the Green Seminary Initiative.